Optimums industry-proven Freezer Spacer Removal System operates at an ergonomic working table height to allow simple pallet replacement and freezer spacer removal. 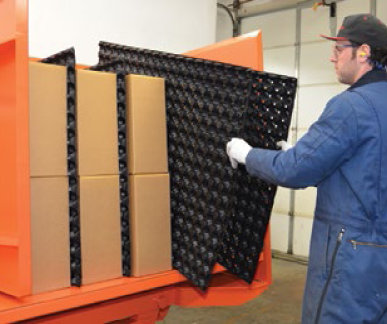 The Pallet Tilter frees up dock space and remove freezer spacers up to 90% faster than stacking or restacking boxes by hand—a “must have” item for most frozen food, cold storage, and meat/poultry facilities. Access at ground level entry with a manual or electric pallet truck. 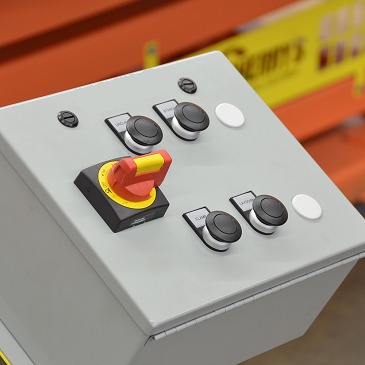 This machine is operated via push button controls with Energy Saver Control and Power Switch. We offer standard stock sizes to match your load requirements. Standard features include: Push button console, maintenance locks, manual skate table, electrical panel. Upgrades include powered skate table, washdown components, tank heater and ATF oil for cold/freezer operation, crossport valve, perimeter guards, light curtains or safety devices for maximum protection. Standard finish is a Safety Orange two part epoxy paint. Capable of accommodating a wide range of load heights. 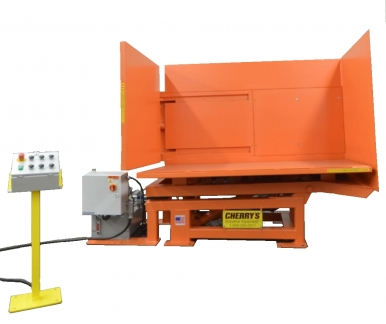 The clamping plate descends to the top of the load and secures the load before the machine reclines. Recommended option heats and maintains hydraulic fluid to optimal temperature especially in areas at 3°C or less. 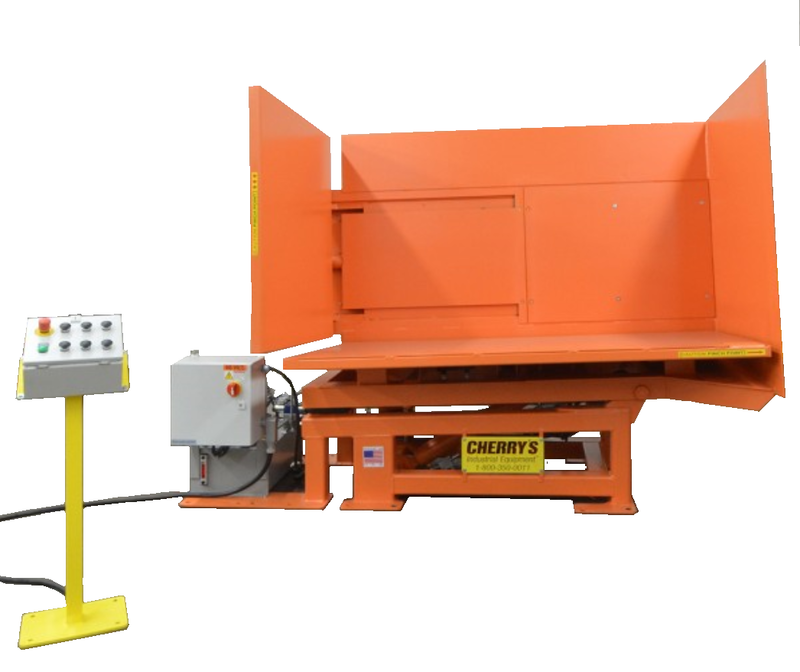 With the machine in its reclined position, pallets can be readily exchanged; pallets pull easily in or out on a built-in roller bed. Jog Skate table to free up space to remove the pallet. A working height of only 711mm permits rapid removal of freezer spacers while protecting against back and arm strain. No more double-handling of product with consequent employee injuries, ultimately lowering insurance costs. Fast, efficient loading and unloading at floor level. Entry or removal from either the front or the side. Spacers can be removed from the product as soon as they are frozen and are instantly available for re-use. Offers tighter control, leading to increased life of spacers and fewer purchases of new ones. Remove freezer spacers and change out bad pallets in under 90 seconds. Interested in talking to us about a problem or perhaps you need a solution? Subscribe to Opti News and KEEP up with our specials offers.